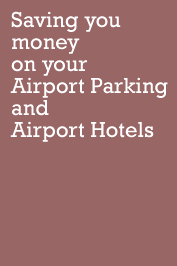 Holiday Parking provides long-term car parking at Gatwick Airport from 1st March - 31st October. Holiday Parking is only really suitable if you are flying from the north terminal. Holiday Parking Gatwick operates transfers by minibus to and from the airport every 10 minutes and half hourly during peak period. Otherwise transfers operate on request, taking around 12 minutes to Gatwick's North Terminal. Minibus transfers do not operate to the South Terminal but you can take Gatwick's free transit train which is a monorail running between the north and south terminal. Customers receive a plastic card, with transfer request number. 24 hours 7 minutes to South & 10-15 mins to North Terminal. Help with luggage car problems on return. Go to arrivals area. Hand car keys in at reception along with your voucher and check in. Go to reception to collect car keys. Car will be in bays opposite reception building. Width restriction of 7ft. No Motor Homes or transit vans.